My Mum has a beautiful friend called Valerie, who turns 80 this week. 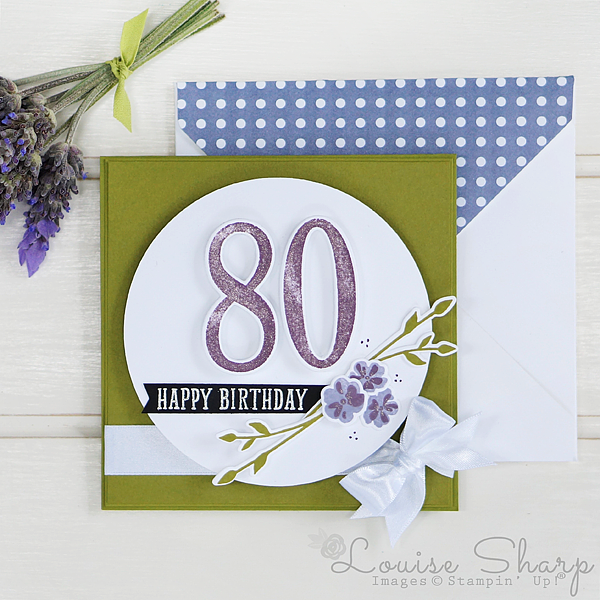 I'll admit that making an 80th card for Valerie was a bit strange, because she doesn't look a day over 60. I'm not just saying this to be nice, I even confirmed with Mum three times, just to be certain! Valerie always looks finished. Her hair and makeup is always perfect and she wears higher heels than I do. She is quick witted and as sharp as an axe and I'm sure you can imagine why I struggled making an 80th card for this *not so* old dear! I was truly inspired by greens. 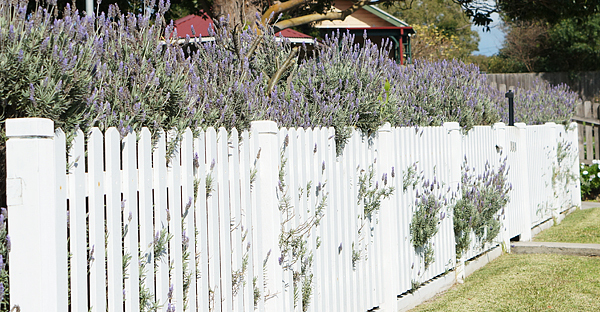 whites and purples from our beautiful lavender growing along our white picket fence. The sun was beaming on it today and last week and I picked some for my craft room. I decided to use that colour scheme in today's card because it's just so pretty. 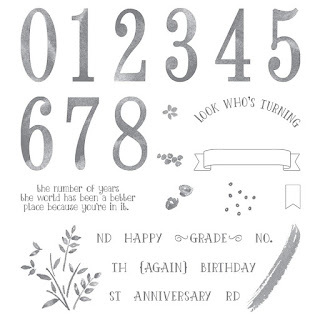 I used the Number of Years stamp set with the Large Numbers Framelits. 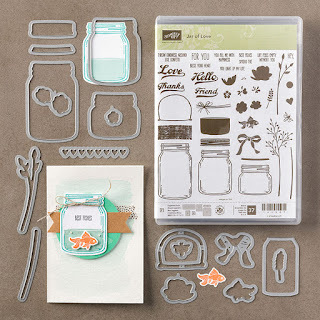 I also love the little flowers in the Jar of Love Set, they so pretty and easy to cut using the Everyday Jar Framelits. The next stop is the talented Constanze Wirtz from Germany. 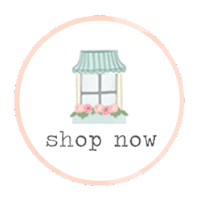 There’s lots of inspiration to be found in this group – and you don’t want to miss it! Love your photography as well.